With 1 April having finally arrived, many South African households are concerned about the impact of the 1% increase in Value added tax (VAT) on their standard of living. Neil Thompson, head of product at African Bank, said that the 1% VAT increase on the cost of credit should be marginal, since the increase only applies to once-off initiation fee on a credit agreement and the monthly administration fee thereafter, as well as the transaction fees on transnational cards. 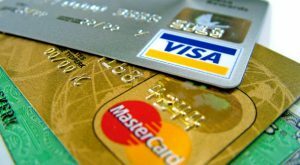 However he cautioned that the real impact on the consumer will depend on each and every customer’s unique circumstances, how many credit agreements or cards they hold, and how tight their budget already is. As a result Thompson said it is important that consumers understand what components of their credit will be impacted. “Take a credit card for example. VAT is not charged on the original capital, which is the total credit limit on the card, or the interest which is charged on the outstanding balance on the card,” he said.